Barrow, Alaska. 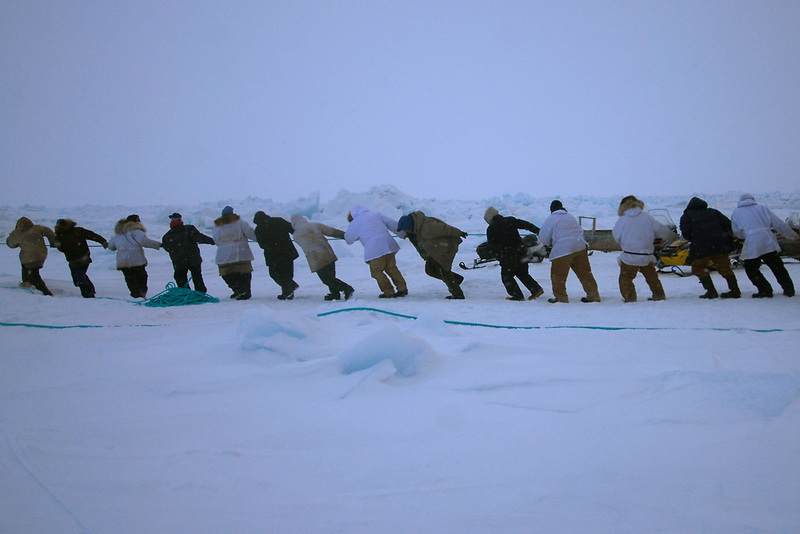 After Simmeon Patkotak Crew got a whale, the crewmembers start to lift it up on the ice. It takes many people to pull a whale up on the ice. It is a community effort. May 2007.